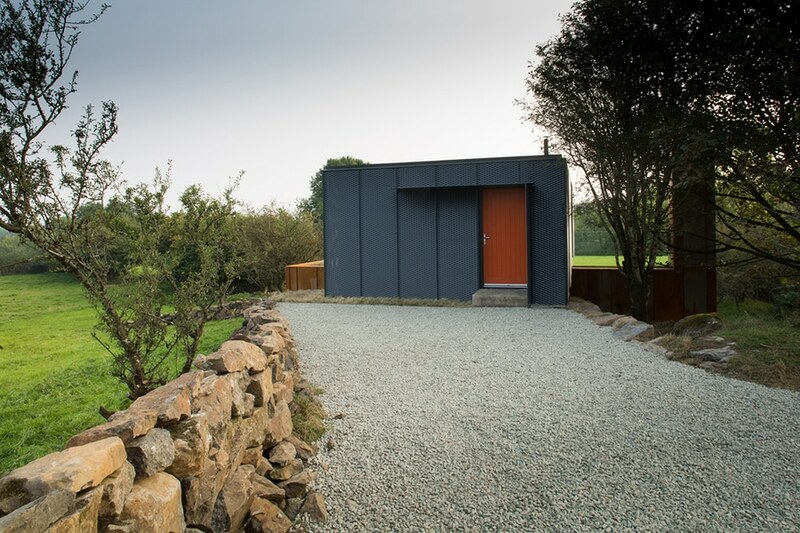 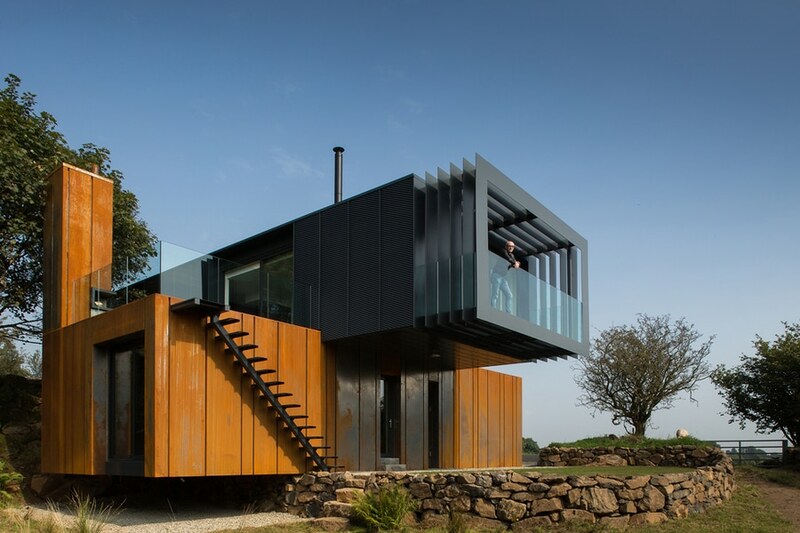 Located on the banks of the Grillagh (“Salmon”) River, Grillagh Water House in Cavan, Ireland, was built in 2014 by Patrick Bradley Architects. 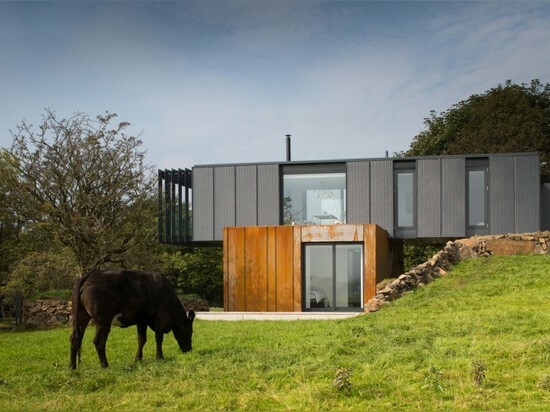 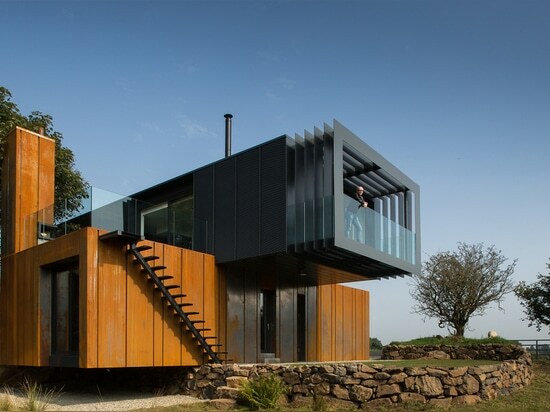 The first modern shipping container construction designed and built in Northern Ireland, the house is comprised of four 45-foot shipping containers. 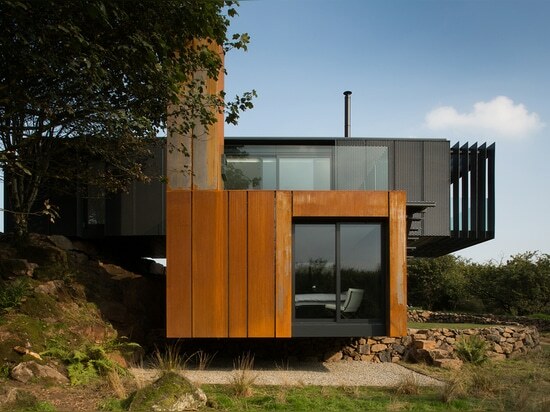 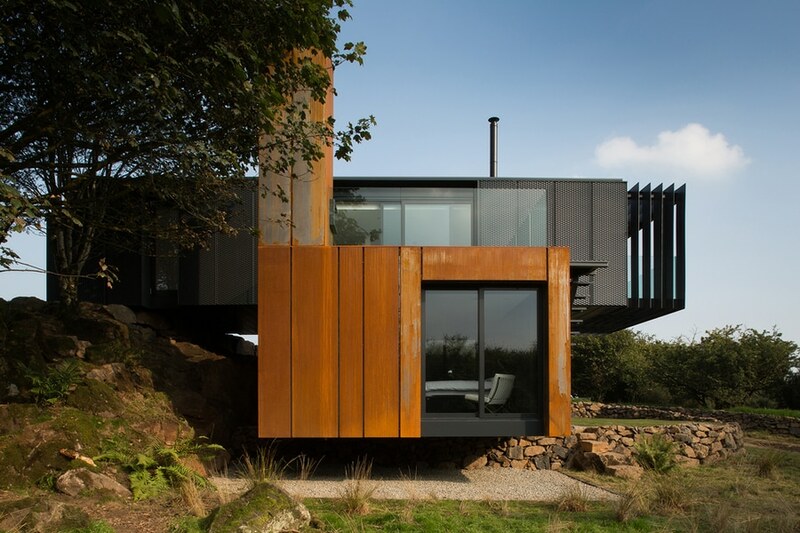 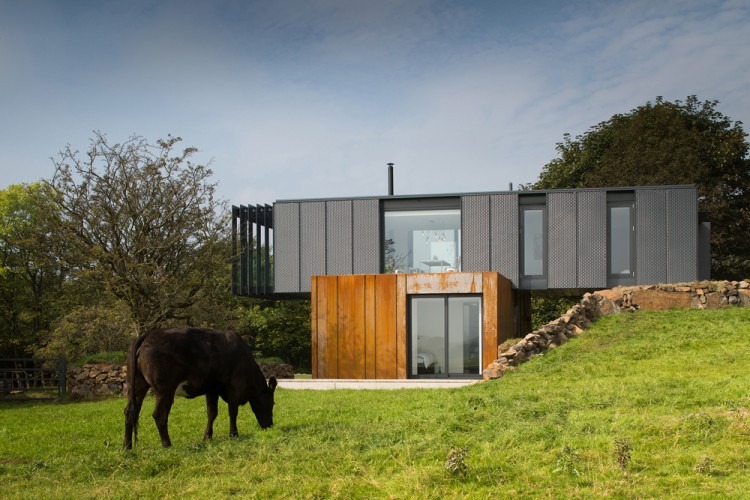 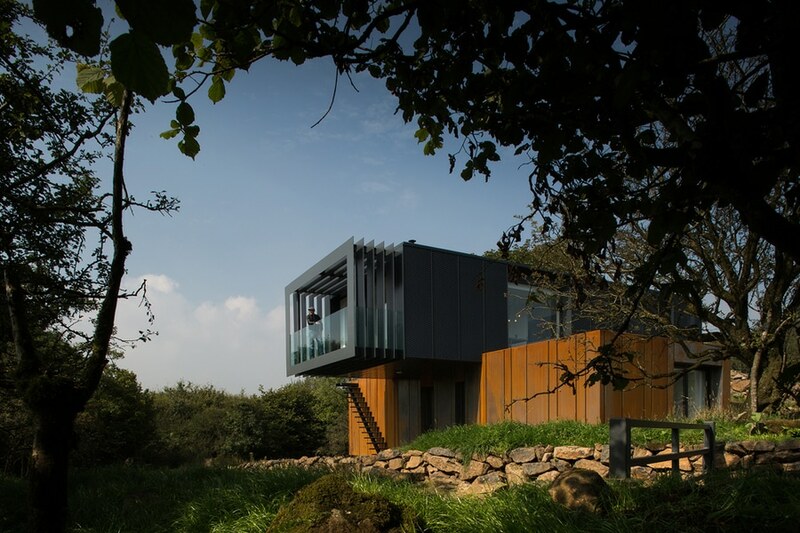 Cloaked with dark grey expanded metal at the top form and natural Corten steel at the lower form, the dwelling’s design takes full advantage of views on the surrounding mountains, the historic Drumlamph Woodland and the Grillagh River. 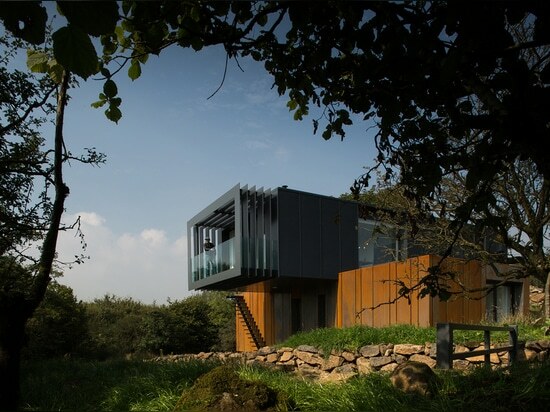 The main entrance to the house, found at the upper floor on the north side of the site, leads through a small gallery into the living area, where one finds a kitchen, dining area and living space, with two outside balconies facing south and west. 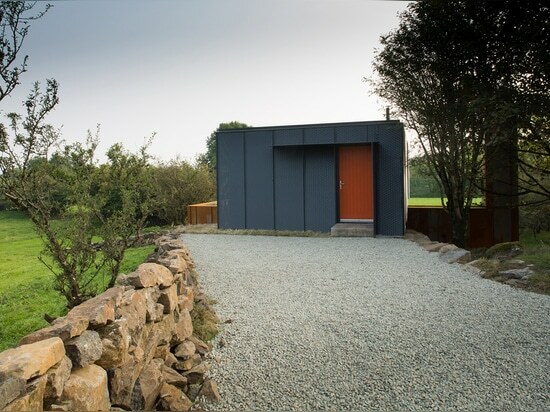 The master quarters, which feature an open bathroom area behind a frosted glass wall as well as an impressive view, are found behind a hidden door at the end of a small circulation hallway. 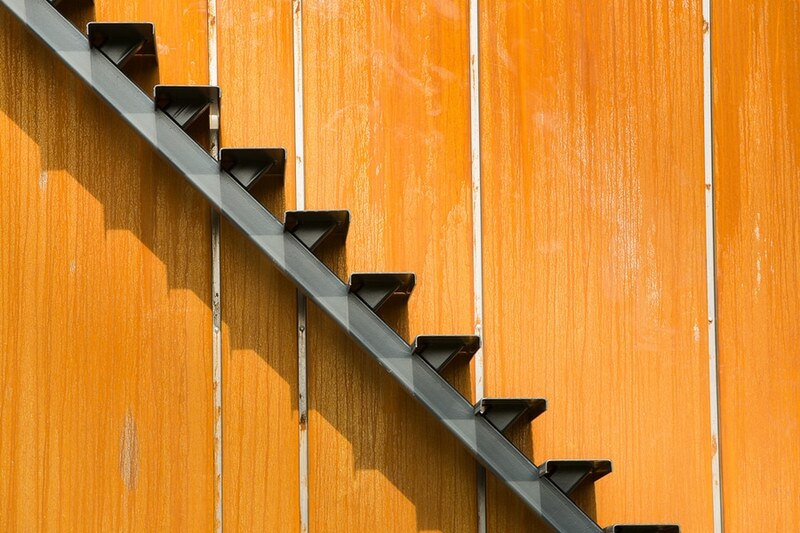 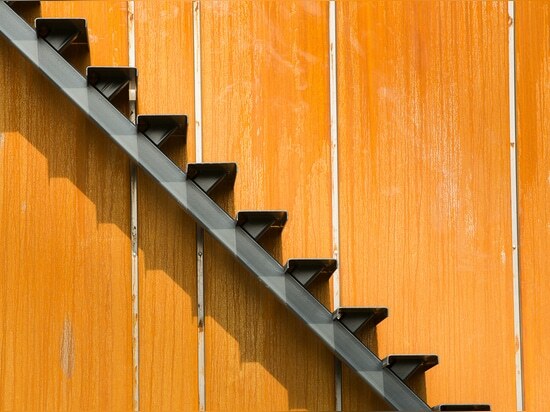 Up a steel sculpture staircase one finds the second floor, which has also been adapted to maximize views on the landscape.